2.5 Diameter of a manometer with a double color coded scale. 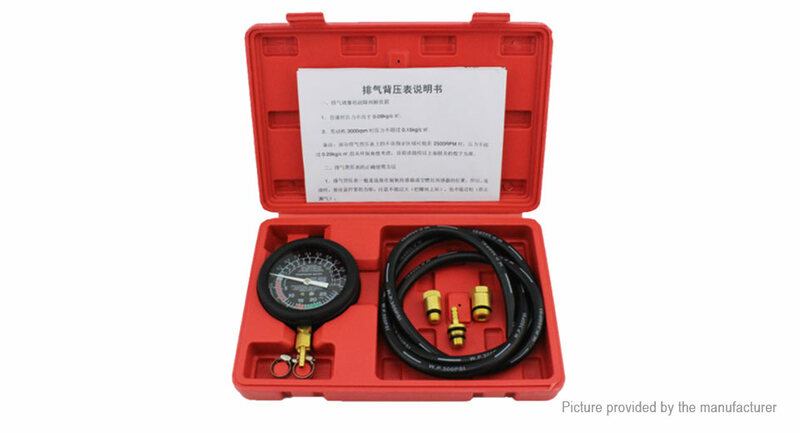 Air pressure gauge with quick coupler and pressure relief button. 10"durable rubber hose with m14*1.25 / m18*1.5 adapter. 6" heavy duty stem with a rubber cone cover is suitable for various spark plugs. This test will test the pressure of the fuel pump and all vacuum devices. It will also diagnose the leakage of valves, incorrect timing, sealed intake manifolds and clogged mufflers.